The TMX160 series of Rotary tables from Kitagawa employs a 165-millimeter table diameter. It is engineered with a 120-millimeter high center, and a 40 millimeter spindle through hole diameter. The unit employs either Air hydraulic or hydraulic clamping methods. Also, the spindle is also capable of running speeds up to 41.6 rpm, and the unit only permits services with work inertia up to 0.51 kgm2. 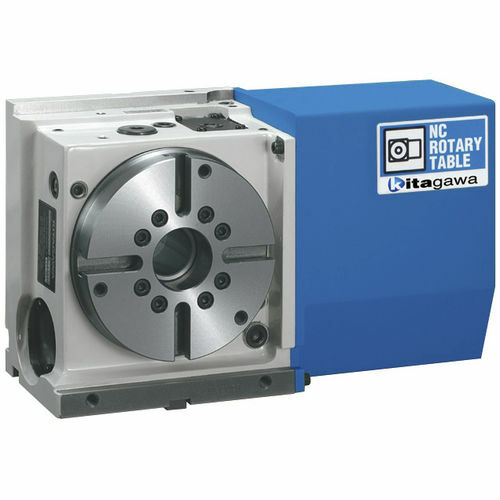 Moreover, the 56 kilogram unit offers services with a 4-second repeatability, a 20-second indexing accuracy, and a 1/72 gear ratio.